Cakeyboi: Win a 'Hot Cookie' - To Keep Your Cuppa Warm! Welcome to the third of three birthday giveaways this week on Cakeyboi. I hope you have taken part in the other two. If so, why not give this one a try too – third time lucky and all that! This giveaway is from a great online company called Mustard. They are purveyors of quirky gifts. They describe their range as an ‘eclectic mix of gifts, licensed brands and home accessories'. If you are struggling to find a gift for that certain someone – then you will find it here. Looking through their website is fun! That’s the best word to describe them. Every item, from stationery to mugs, from techy gifts to kitchen utensils – everything is brilliantly designed to bring a smile to your face. 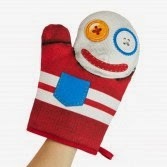 I love their McGloven oven glove, which looks like a hand-stitched puppet – so cute. (I’ve just bought one from their fab website). 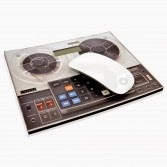 I also love their Retro Calculator which doubles as a mouse pad – very funky. Pop over to the Mustard Gifts Facebook Page and give it a like – they run lots of giveaways too for their great gifts! But this giveaway however is for those of you, like me, who spend hours by the computer with a cuppa, only for your tea or coffee to go cold on you. Well, no more! Thanks to the Hot Cookie. The Hot Cookies looks like a certain brand of biscuit with a USB attachment. 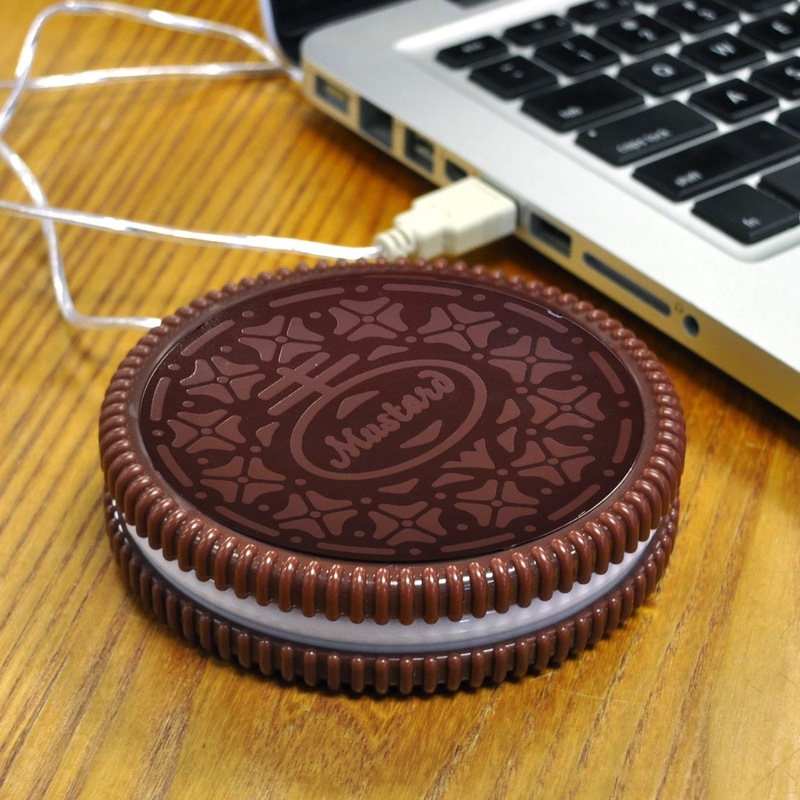 Plug it into your closest USB port (PC or Mac) and place your mug on top. 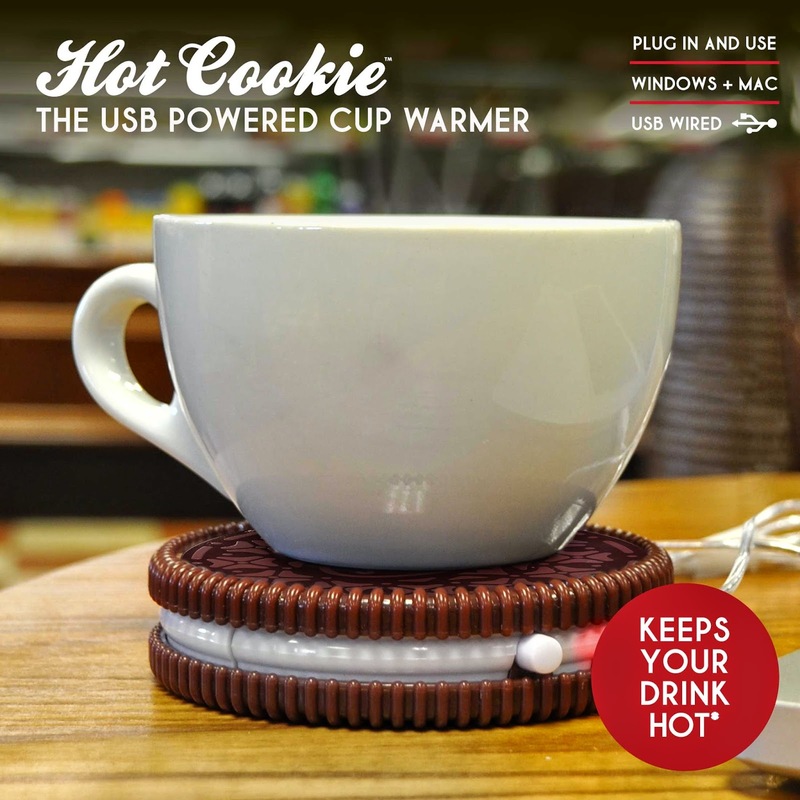 Voila, the Hot Cookie keeps your cuppa warm. How great is that?! The giveaway is open to UK residents only and closes on 31 May 2015. Good luck everyone!! Disclosure Statement: I have not been paid to run this giveaway. Any opinions expressed are my own. I'm not sure I can pick just one but the closest to a favourite is one covered in thick milk chocolate, say more chocolatey than biscuit ;) also, I NEED this, it would be perfect sat on my desk waiting for my endless cups of teas! Malted Milk with chocolate on. Jammy Dodgers are my favourite! Stuaft all yours giveaways are amazing I love all.Congrats by your birthday's blog!! Borboun biscuits are the best! Custard creams have always been my favourites. My favourites are custard creams, not very inspiring I know but they are lush. It has to be a delicious all butter shortbread, golden brown, light dusty of sugar slowly dunked into a piping hot brew. Perfect! Good old fashioned custard creams! I've been known to waffle about stroopwafels! At the moment I'm addicted to Cadbury's Crème Egg biscuits! I'm have a weak spot for fig rolls! If I want a treat I go for peanut cookies. Can't have them too often though as they are full of calories! My favourite biscuit just has to be chocolate digestives with plain chocolate for preference. I love dark chocolate digestives! chocolate digestives :) faye. they are the best! Happy birthday and my answer is rich tea biscuits that I can dunk! My favourites are custard creams! Love them! currently addicted to double choc digestives. Long Rich Tea Biscuits dipped in Water! Oatmeal and raisin cookies are my favourite! I love Hob-Nobs! Perfect with a cuppa and a good book...! !